My skiing novel, FRESH POWDER is set in Courchevel, where I got the inspiration for the story during a fabulous holiday in one of the chalets there. And then I wrote this blog post to illustrate what Courchevel is all about and how you can enjoy it without actually getting exhausted on the slopes. How do I explain the mystique of Courchevel? It’s expensive and not that easy to get to, unless you fly your own plane or can afford an air-taxi. It takes about a year for the financial hangover to wear off and the discussions with stingy-pants to abate, which brings you right up to the moment when it is time to book another holiday. You know the feeling; as the French TV ads say: ‘if the symptoms persist, contact your ski company’. The best thing about Courchevel is that you don’t actually have to ski. Like the majority of the beautiful people, you can fake it. 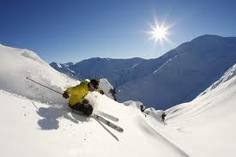 The skiing on the upper slopes, and across the famous Three Valleys, is both tiring and difficult, so don’t go there. You’ll hardly ever see any celebrities in any case. They congregate on the lower slopes where most of the five star restaurants are situated. There they sit, in the midday sun in their fur coats and designer ski suits, sunbathing and pretending not to read Hello magazine after a hard half hour or so on the nursery slopes. I imagine that the jet-set continue their day with lunch and then more coffee, followed by a little trip down the green slopes, then drinks in one of the cafés below the ‘Forum’, watching the real skiers limp home in the evening sun (or travelling in real style on a stretcher). Then maybe a massage in the hotel beauty salon, followed by a swim in the pool. Then après ski drinks in front of the fire in one of the many luxury hotels lining the lower slopes, or better still, a luxury chalet, and onto dinner at the Chabichou, five stars, fabulous food and fairytale setting. You get the picture. There simply isn’t a ski resort like Courchevel anywhere else in the world. 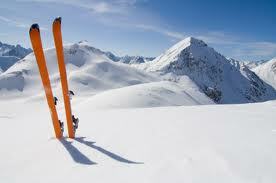 The scenery is spectacular, the slopes wide and long, the ski lifts state-of-the-art. But it’s the atmosphere that gets you more than anything; not exactly Paris but a kind of St Germain des Près in the snow, a winter wonderland complete with rude waiters who speak only French combined with that French concept of cosiness called, appropriately, le cocooning. It’s magic, fabulous and unique. And everybody knows it. I enjoy your writing style genuinely loving this web site. “The human brain is a most unusual instrument of elegant and as yet unknown capacity.” by Stuart Seaton. So true! I’ll have to get my hand on your book, I’m sure I’ll be able to relate it it. Hey, great article! I’ve been writing a series of blogs about the Three Valleys area, including Courchevel, over at my blog on Mountago.com. I agree that it is a fantastic place to Ski, if a little expensive, and certainly has its own character. Hey, great article! I’ve been writing a series of blogs about Courchevel.